Our gorgeous hand-picked luxury bouquets are available to be sent out weekly, fortnightly or monthly. Give the gift that keeps on giving with our popular flower subscription service that delivers beautiful bouquets to homes and businesses across Ireland. Our unique and thoughtful solution is the perfect gift for the person who has everything. 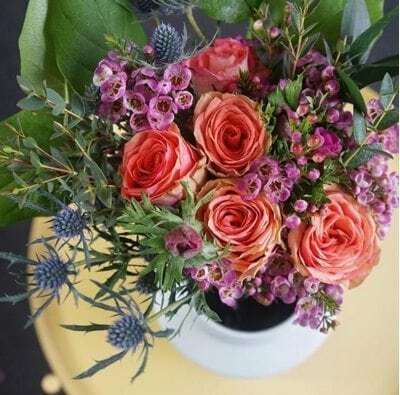 Treat yourself or that special someone to stylish, handcrafted bouquets sent to you directly from our flower grower partners based in the Netherlands, Ecuador and South Africa, among others. Your fresh flowers will come almost directly from our growers. That means that once your flowers are picked they don’t hang around in the cold morning air on the back of a lorry – or are crammed into a box, waiting for hours to be auctioned. By cutting out all the steps in between – auctions, wholesalers, shops – we create days of extra freshness. Which simply means your flowers will last longer. Join our Flower subscription service to enjoy flowers all year round and delivered right to your door. Just say yes & we do the rest….